SwiftCheck is powered by Equifax, a leading provider of insights and knowledge that helps customers make informed decisions. 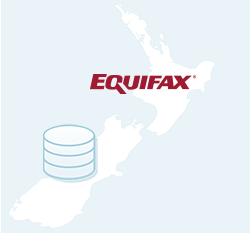 Equifax powers the financial future of individuals and organisations around the world using the combined strength of unique trusted data, technology and innovative analytics. <br><br>SwiftCheck gives you 24/7 access to these insights in an easy-to-understand report, with the convenience of credit card payment. 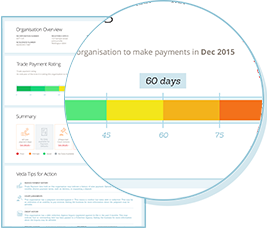 A SwiftCheck report contains the information you need to make a fast and easy decision around the likely impact a new customer might have on your business' cash flow. <br><br>Areas that require further investigation are summarised at the beginning of the report, and there are also Tips from Equifax throughout that can help steer you to the right decision to protect your business from potential risk. A business may have a low risk of going insolvent, but if they are a notorious late payer this can have a significant impact on your cash flow, and perhaps your need for finance if the order is large. Knowing how fast your customer pays other businesses can help you minimise the impact taking an order will have on your cash flow. A default registered against a business means they were unable to pay an outstanding invoice. This is often an early warning sign of financial distress. Do your homework on a business by buying a SwiftCheck credit report to ensure that they can pay you, on time. SwiftCheck utilises the most up-to-date Companies Office information to provide you with a business' registered information. Make informed decisions about the identity of a business and be reassured they are a legitimate business, with a registered address and directors. 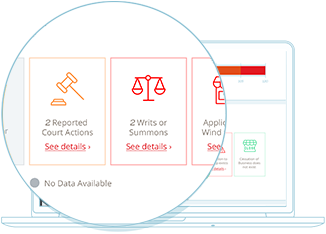 Find out if a customer has any recorded judgements against them that may affect their ability to pay. 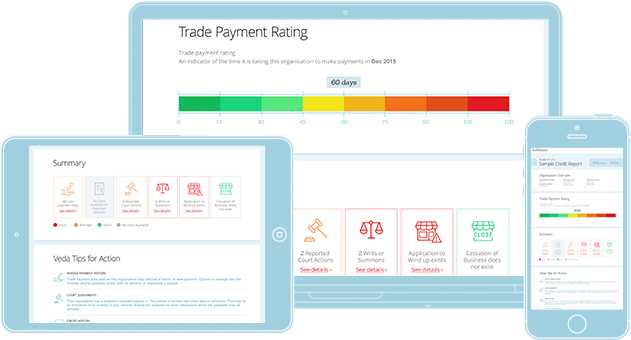 A SwiftCheck credit report contains all of the latest judgements on a business, so you can determine if dealing with them is risky or not.